Add a touch of enchanting style and a splash of color to your garden with this owl-themed garden stool. 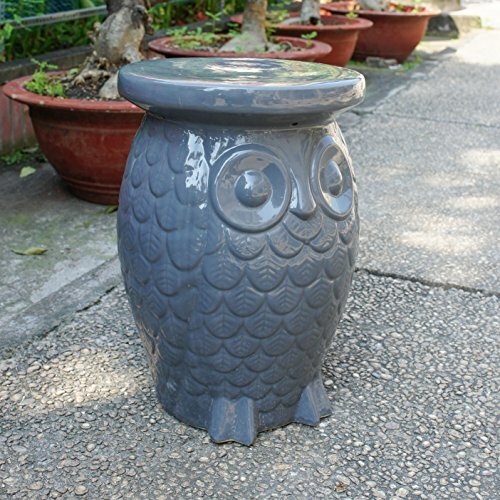 This stool features a solid ceramic build for lasting durability and an enchanting owl design. If you have any questions about this product by International Caravan, contact us by completing and submitting the form below. If you are looking for a specif part number, please include it with your message. Garden Stool Made with Iron and Woven Rope for Indoor/Outdoor in Orange Finish 14W x 14D x 18H in.